Welcome to Paladino Chimney Sweeps! Let Paladino Chimney Sweeps help ensure your Chimney is safe from Chimney Fires, clean, and worry free. Our chimney sweeps first priority is CLEANLINESS. Each cleaning begins with the Chimney sweep using his industrial vacuum and drop cloth to ensure that he leaves both, your fireplace, and the surrounding areas, in tip top shape. Paladino Chimney Sweeps use professional grade equipment and industry certified techniques to clean your flue. Our Chimney Sweep will thoroughly clean and inspect your chimney from top to bottom making sure to report and repair any cracks or water damage to give you confidence in your chimney's structural integrity. 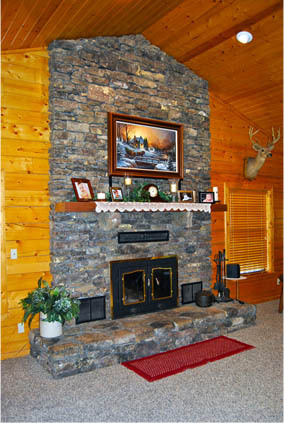 Our family owned and operated business has been serving Central Arkansas and helping to prevent chimney fires for over 2 generations.